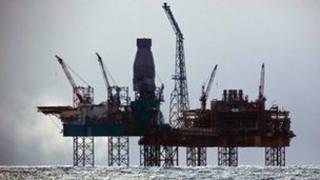 The operation to stop gas leaking from the Elgin platform in the North Sea is under way. Total's platform was evacuated when the gas began leaking on 25 March. The effort to stop the leak involves the pumping of heavy mud into the well from the main support vessel, the West Phoenix semi-submersible drilling rig, via a temporary pipeline. Total said the operation and subsequent observation period would last a few days. It will then be possible to say whether the operation has been effective. Dr Richard Dixon, Director of WWF Scotland said: "Good luck to Total in stopping the gas leak from the Elgin platform. "The serious leak at the Elgin platform underlines the risks of the offshore oil industry, even in the familiar waters of the North Sea, and reinforces our concerns about the even riskier deepwater drilling in the Arctic."